Three stolen bags containing essential documents, a stolen laptop and Rs 1,75,000 were also recovered from them, the official said. Three alleged members of a gang, who were involved in stealing bags from vehicles at parking lots of Connaught Place and other areas have been arrested, police said on Wednesday. The accused, members of theThak Thak gang, were identified as Ranganathan (44) and Abdul Hasan (25) are residents of Tiruchirapalli in Tamil Nadu while Natraja (39) hailed from Karnataka's Kolar, Deputy Commissioner of Police, Madhur Verma said. On July 3, when the police was patrolling in the busy areas of Connaught Place, a person was seen running after three men. A police team that was patrolling the area swung into action immediately and overpowered all the three accused after a brief chase and recovered a stolen bag from them, the DCP said. During interrogation, the trio admitted to have been involved in theft cases. The accused said that they usually come to Delhi and NCR and lift bags from parked vehicles by dropping currency notes of Rs 10 or 20 to divert the attention of driver or car taker of the parked vehicle to pick up the notes, he added. These accused targeted only the posh areas, busy markets across Delhi and NCR, Mr Verma said. 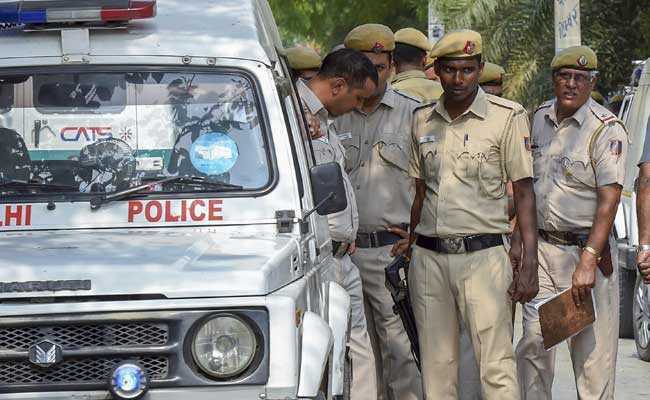 The accused also revealed that nearly 40 people in four gangs have come to Delhi to steal bags from Delhi-NCR region and most of them belong to Tiruchirapalli in Tamil Nadu, he added. All the three accused were arrested multiple times in Delhi for such crime, they said.